Alien Shooter TD is an Action and Strategy game for PC published by Sigma Team Inc in 2017. Are you ready to kill the aliens again? Thousands of aliens have attacked Earth to get the control of it. Most of the people have died because of them. You’re the only hero who can save Earth. Here you will not just build towers to protect your territory, but will also get in charge of a platoon of elite warriors. Each one of them has their own field of specialization, unique features, as well as development possibilities. It is also possible to equip each class of warriors with weapons of your choice. The attack is under way. The armed forces are mobilized. Violent battles are happening across the whole globe. You are the commander of an elite warrior platoon and find yourself in the midst of large-scale war events, and your actions will determine whether blood-hungry monsters will destroy our planet, or if humanity will come out victorious!The game was created in keeping with the best traditions of Sigma games, no concessions of any kind – everything is just like in real life! Totally real-life presentation of events – there is a limited munitions stock for each weapon, and it has to be replenished during combat. Your enemies’ dead bodies don’t disappear – wait to see what happens when you finish each level! Any kind of weapon can be modified by expanding its basic features. You can disassemble it and get money, as well as auxiliary supplies. In a critical situation, you can use bombs land mines, as well as supply Drones that will momentarily replenish munitions stocks for all the combatants. 29 Comments ON " Alien Shooter TD PC Game Free Download "
Can you get the escapist on this website?? Why is it in russian? is there a way to change it to english? hi, after you download the game, you will see ” i18n” folder ERASE it than you can play as ENGLISH. 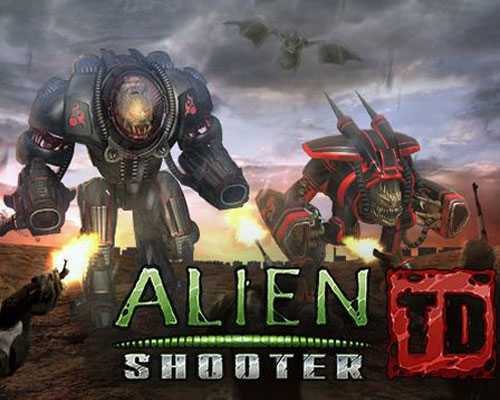 Do you have the update of Alien Shooter TD 1.2.0. If yes, upload it for us. Hi,sam Download MSVCP140.DLL in goggle. i download the game, but went i opan the folder i cant find the install button!!! need help..
what is the aim of those tow files? i download the game, but went i opan the folder i cant find the install button!!! need help. how can i get password? Try the password https://www.freegamesdl.net again, it’s working. To change the language in Alien Shooter TD PC Game 2017 simply go to the folder :\Alien-Shooter-TD\i18n\ru and change the ru to eng to play in English. if you cannot install this game, you first install iso power software and extract file and you will see intall file them. play and enjoy.